This month’s books contain multitudes: worlds built from whole cloth, a cascade of perspectives, multiple languages, and the work of travelling between them. There are, above all, questions: Who are we, how do we approach the world, what does the world make of us? The answers—if answers there are—are songs, and poems, and science. This book. This perfect book. 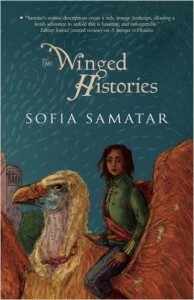 Set in the same world as her award-winning A Stranger in Olondria, Sofia Samatar’s The Winged Histories weaves together the narratives of four women experiencing upheavals in the Olondrian Empire: Tav, a soldier; Tialon, a scholar; Seren, a poet; and Siski, Tav’s aristocratic sister. Each is a facet on the troubled jewel of Olondria; each breaks the light of narrative into different, fantastic colours. We thought the message of the Stone, arriving in such spectacular form, would unite us. But perhaps its true message was one of disintegration . . . Or perhaps it spoke a message of unity we could not understand, one that did not unfold in language as my father thought, but rather in the way the lines crossed over one another, cutting across each other, one word into the next. If the message is not in the words, but in the cutting. Like the passages on the Stone, the narratives of these four women intersect, cut, and complicate each other, and something like Olondria is read between their lines. I sometimes forget to eat; the hunger becomes a numbness, a dull ache I grow accustomed to until I can’t rightly recognize that I’m hungry—until I take a bite of food. Then I’m overcome by an almost electric ravenousness, as every part of me wakes and grows intensely focused on consuming the food producing this reaction, creating my hunger even as it’s sating it, nourishing me by showing me the extent of my depletion. Reading The Winged Histories was precisely like that, showing me how starved I’ve been for women, women living and thinking and talking and writing, women who aren’t a footnote in the world but who make and unmake worlds between them, in blood, in song, in ink. 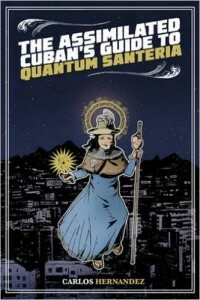 The Assimilated Cuban’s Guide to Quantum Santeria is both a mouthful and entirely necessary—both the title of the final story and a fitting emblem for the collection. Mixing humour, hurt, wonder, and keen insight, this is a short fiction debut that’s fierce and charming all at once and by turns. 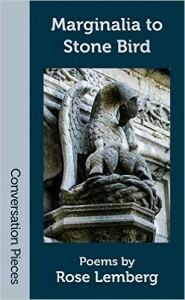 Reading this collection, I was often put in mind of tricksters and their tales: how they vary between sad, wise, funny, grotesque, frightening; how they often inhabit crossroads, mirroring how tragedy and comedy live a hair’s breadth apart. This is a collection of such crossroads: science crosses faith, belonging crosses exclusion, syncretism and assimilation are watchwords. These are stories that interrogate what it means to be Latino in America, but sideways: from a space station, from alternate worlds, from inside and outside communities. Several of these stories begin as what ifs, uncoiling from the spring of some startling real-world fact—immortal jellyfish, for instance, or how difficult it is to breed pandas—before bouncing around inside one’s head cackling maniacally. What if in order to artificially inseminate giant pandas you had to actually wear a mechanical panda suit to show them how it’s done? “The International Studbook of the Giant Panda”—both a science fiction story and a genuine book—is the result. What if you could upload your brain into the piano you’ve played your whole life? 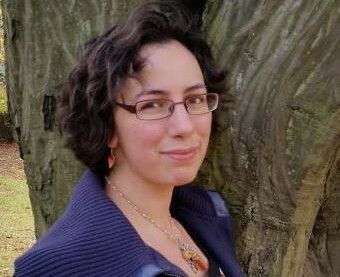 Gabrielle Réal, recurring character and journalist of the bizarre, investigates. A few stories were brief tweaks on the nose, ended too abruptly for my taste, or left me wanting more from them, but I found the collection as a whole, especially ending with the title story as it does, immensely satisfying. In “The Assimilated Cuban’s Guide to Quantum Santeria,” all the themes and movements of the preceding stories find their fullest, most successful expression: The story of a father, son, and the ghost-mother who haunts them, it beautifully, heart-breakingly explores the gulfs that open up between generations of immigrants and their children and the varied means of bridging them. Containing over a decade’s worth of poems, Rose Lemberg’s first collection is a beautifully curated jewel of a book full of colour, longing, and heat. Divided into three sections—Finding Voice, Changing Shape, and Making Journeys—and containing nine poems original to the collection, Marginalia to Stone Bird constantly shifts between tactility and evanescence: embroidered cloth and starlight, food and fire, letters and music. In fact, more than anything I’ve read recently, it feels like a book one might find within the world of Samatar’s Olondria, knotting deserts, cities, and language into a beating heart. is the color of a worn coat stitched with thunder. Several of these poems have individual dedications, each of which made me smile in recognition: More than a novel or collection of short stories, a collection of poems can be a bouquet offered back to the people who inspired it, or a map of friendships, connections, gratitudes. So I read the poems dedicated to Shweta Narayan, JoSelle Vanderhooft, Brittany Warman, Dan Campbell, and see them as windows opened between the rooms of Lemberg’s work and theirs.